This just in: Mild-mannered Gov. 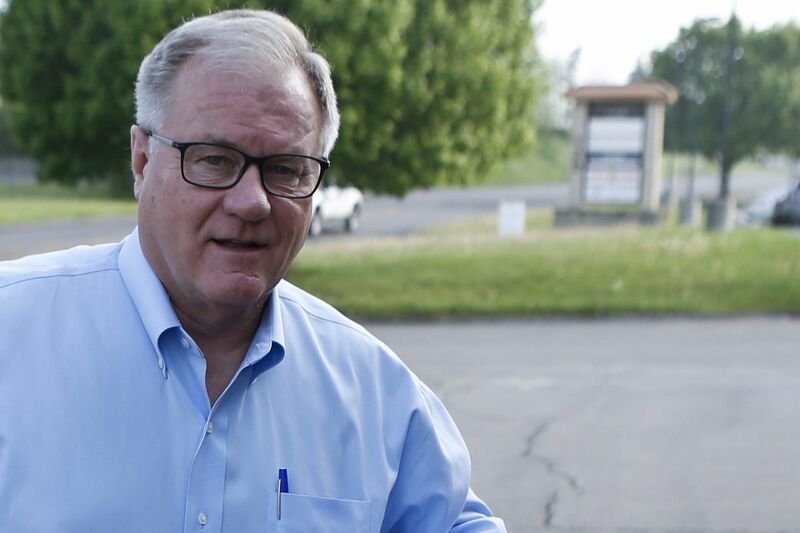 Wolf authorized his minions to mess with Scott Wagner's mind. Shedding his image as the Mr. Rogers of Pennsylvania politics, Wolf, I'm betting, said something like, "Drive him nuts. Shouldn't take much. He's already halfway there." At least that's my working theory. It's based on swarms of daily, sometimes hourly, campaign emails, fund-raising emails, and Democratic Party emails tagging Wagner over and over as, among other things, anti-education, anti-women's rights, and anti-transparency for refusing to release his tax returns. It's endless: Wagner is "lying" about Wolf's record; Wagner uses "deceptive tactics"; Wagner is "hiding from the people" on taxes. Wolf even has Democrats at either end of the state — Senate Minority Leader Jay Costa of Pittsburgh; Philly Sen. Vincent Hughes — demanding Wagner's tax returns "immediately." And there's a second Wolf TV ad calling Wagner "the very worst of Harrisburg," which — as I noted a couple weeks back after the first one aired — just ain't so. Historically and presently, Harrisburg offers way worse than Wagner. Doesn't matter. Wolf wants Wagner in the pit of misery. It's the only explanation. The incessant, repetitive barrage can't be aimed at voters. Who sees such stuff other than campaign principals and political nerds? What is its impact in the dead of summer in a 24/7 news cycle owned by President Trump? So, Wolf pokes Wagner to raise his ire, distract him, force responses, keep him on defense. And maybe hurt his traditional GOP fund-raising, which, as my colleague Andrew Seidman reported earlier this month, isn't exactly off like a rocket. Wolf hammers Wagner for saying schools get too much money and have too many teachers. And for saying Wolf wants to cut funding to most districts with a formula to help larger and poorer districts. He doesn't. Wolf always pushed for more school funding, and consistently and clearly says the formula in question only works with a large increase of state support. Wolf hits Wagner's anti-abortion stance. Fund-raising emails call Wagner a "Republican extremist." One has first lady Frances Wolf seeking donations so her husband "can continue defending the rights of women." And the tax returns thing? Wagner and Wolf are multimillionaires. Wolf, in the past, released returns from 2010 through 2016. His campaign says he now has an IRS extension but will release 2017 returns this fall. Wagner says he won't release returns, arguing what he does with his money is "a privacy thing." Candidates aren't required to release returns. But it's common practice in Pennsylvania. So, for Wolf's campaign, Wagner's resistance is a chew toy that never wears out. I don't suggest these issues aren't valid. I do suggest they're currently used as part of a plan to keep a firehose in Wagner's face. These campaigns, like these candidates (who genuinely dislike each other), are very different. And they're run that way. Wolf has the resources for anti-Wagner excess. And his incumbency allows statewide travel on official business to make news, contacts, even raise funds anywhere he goes. Last week, he was in Philly welcoming a national education conference at the Logan Hotel. He also was in central and western Pennsylvania visiting small businesses in Union, Juniata and Beaver Counties. Wagner's schedule resembles that of a door-to-door salesman scrambling to meet a quota. In a recent 10-day period, 36 stops in 21 counties. From Pocono Pines to Punxsutawney. From Macungie to Monessen. Wagner is not lazy. He has populist appeal. And his grind-it-out ground game could well bring rewards. In fact, Wagner supporters say Wolf is pummeling Wagner now because the race is tighter than it seems. (It seems, for those not paying attention, that Wolf is well ahead, likely to win in November). But I think Wolf is trying to bait Wagner into a mouth-frothing frenzy. We'll see whether that works. Or backfires.